Arbitrage betting is based on comparing different odds across bookmakers to make profit on the spread between them. If applied smartly, this betting system can bring in a steady flow of earnings. 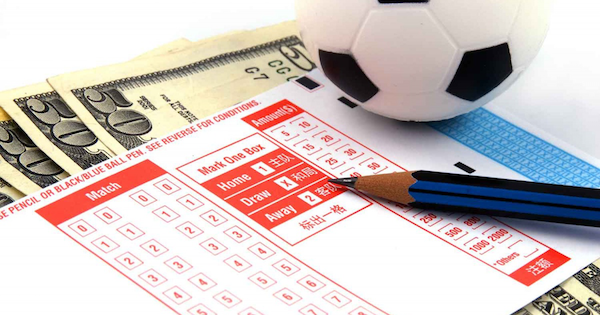 Arbitrage betting works partly due to mistakes made by bookmakers in estimating the odds. But the main factor that makes arbitrage betting effective is that bookmaker have differing opinions on the same sports outcome. To be viewed as favorable for bettors, a bookmaker should offer profitable odds, high bet limits, and low profit margin. Sometimes, bookmakers have different opinions on how a certain sports game will end, which results in varying odds. And this is where arbitrage betting comes in. Some bookies offer better odds than others. If a bookmaker follows a bettor-friendly policy, it may set football and basketball odds that would be up to 10.5% more profitable for bettors. Here is an example to break down arbitrage betting scheme for you. Let’s take a tennis match between Player A and Player B. Here are the odds bet by two different bookmakers. Bookmaker A’s odds for Outcome 1 and Bookmaker B’s odds for Outcome 2 create an opportunity for placing an arbitrage bet. Bettor’s profit will be 100-95,9=4,1%. Arbitrage betting works for all types of bets. The main thing is to pick the right odds. Furthermore, you can use a bookmaker bonus to place an arbitrage bet and secure yourself a profit. Maximum bet limits vary across bookmakers. You should pick the right bookie for profitable arbitrage betting. Be wary that some bookmakers close the accounts of particularly lucky bettors. At the same time, other bookies welcome professional bettors because they help them in setting the correct odds. If a bookmaker published wrong odds, they may cancel your bet, depriving you of your deserved profit. This may have a negative effect on your profits in the long run. To earn on arbitrage betting, you need to have large deposits with several bookmakers. Moreover, it takes strong self-discipline and diligence. Some bettors invest very large amounts of money in arbitrage betting. Bookmakers are constantly adjusting their odds and lowering risks. This is why you usually have a 15-minute interval to place an arbitrage bet. When pressed for time, few people avoid mistakes. Specialized arbitrage betting programs may be very helpful. And make sure you have everything you need to place bets fast and easily.